One-half of reDRagon has seemingly arrived in NXT. 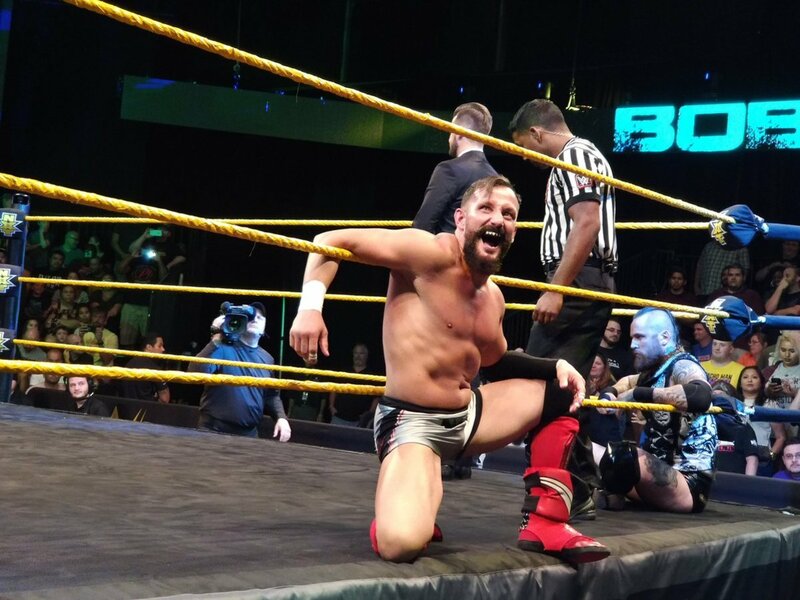 Bobby Fish made his first WWE appearance at tonight's NXT television tapings at Full Sail University. His first match was against Aleister Black. The match came after reports that Fish had been spotted at the building earlier in the day, along with Pro Wrestling Sheet noting that he'd be making his debut. An NXT debut that was already known about happened at the tapings as well, with Mauro Ranallo joining the broadcast booth for the first time since announcing that he'll be staying with WWE. Triple H introduced him to the crowd at the start of the show. Fish had previously reached a new short-term agreement with Ring of Honor when his contract came up at the end of last year. When that expired in March, he continued working for ROH on a per-date basis and started taking other bookings. There has also been a situation with claims related to tampering from ROH that have at least temporarily blocked some people (including Fish and Kyle O'Reilly) who were formerly with them from signing with WWE.